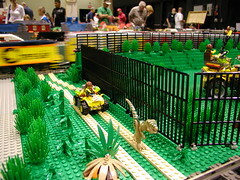 The Dino Project is first of it's kind, collaboration between GFLUG and the LEGO® Company. The display built by GFLUG with sets from the LEGO® Company, will traval with us to train show and conventions all around the south. 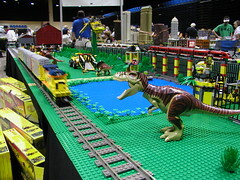 See the Dino display at the Tampa Train Show and other great events thoughout the year 2012... For more on the LEGO® Dino line of set go to the LEGO® Dino website.